I’m writing because you aren’t just attacking BuzzFeed the company, you are attacking the many talented video producers who work here, creative people just like you, who are inspired by the work of others but always strive to add value and originality to their creative work. Many of them are very upset with the substance and tone of your public attacks on their work. We value the work of independent producers and we take your accusations very seriously. As a result of your campaign, I asked my team to conduct a thorough internal investigation to look at your allegations in detail. We just concluded the investigation and wanted to share the results with you and the public. 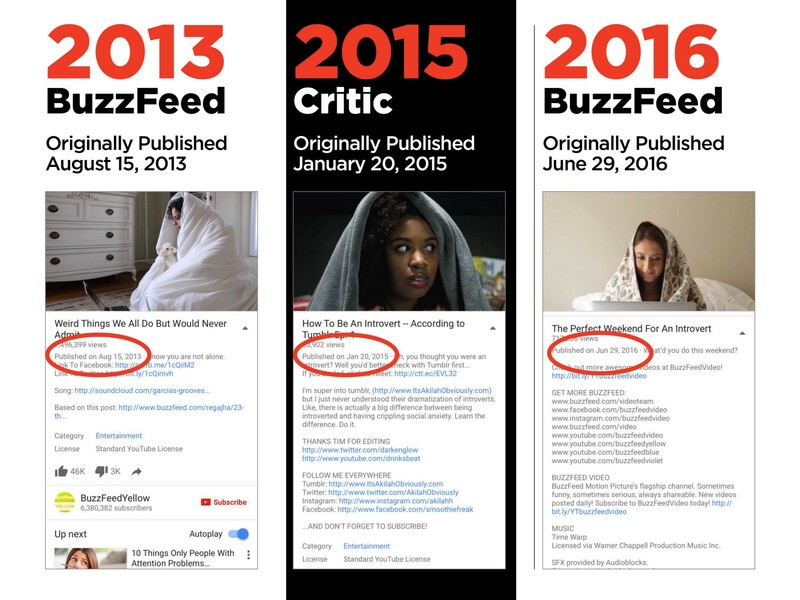 We don’t think you were intentionally misleading your fans or the press; you probably were not aware of the prior work done by the talented and diverse team at BuzzFeed. 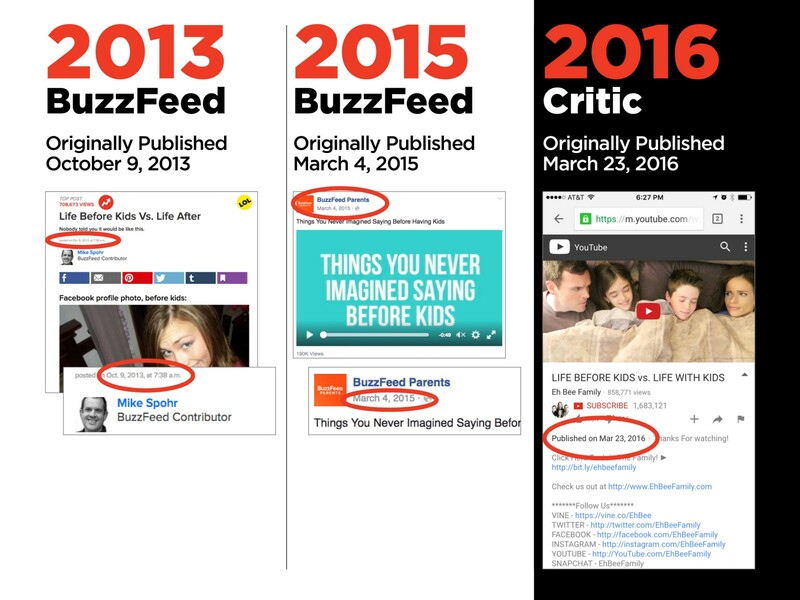 But even a cursory investigation shows overwhelmingly that BuzzFeed’s video producers have created work that predates the work that was allegedly stolen. You also point to a few cases where chefs and food bloggers complained that Tasty did not give proper credit for recipes that were adapted from outside sources. As I’m sure you know, chefs frequently borrow and remix each other’s recipes and also independently develop similar recipes. However, we strive to credit generously when we are actually influenced by others. We’ve recently taken a further step by implementing a system for documenting recipe creation that will make it easier to address disputes and provide credit when we are influenced by others. 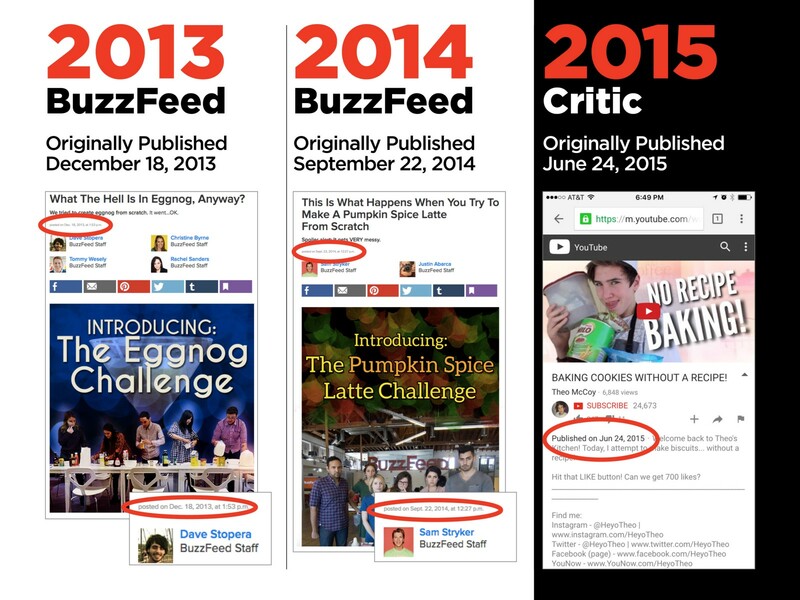 In conclusion, your claim that BuzzFeed is built on stealing ideas is patently false, and even a little research would show that BuzzFeed producers have made work that predates the alleged theft. Our talented, creative team has been making media for years, and the work they do has had a huge impact on video formats, framing, voice, and the culture at large. I’m proud of the work they’ve done and continue to do. 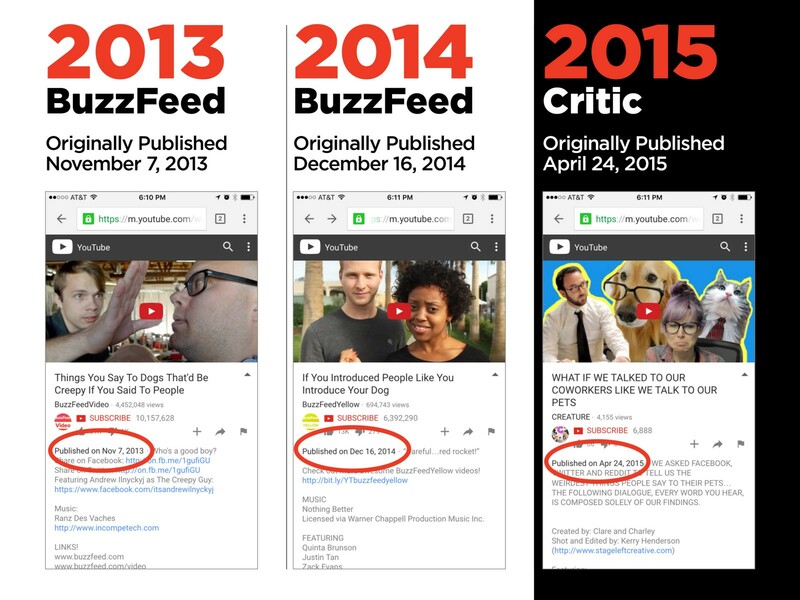 If anything, BuzzFeed would have a claim that people are “stealing our ideas” since we have prior work that is clearly informing the work of independent producers and other media companies. Nevertheless, we think it is largely positive to have a creative exchange on the internet, where people are influenced by others, and push each other to improve. 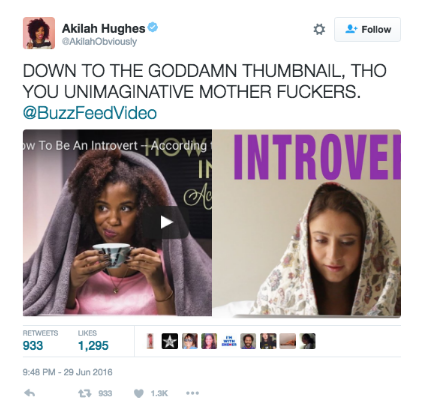 It benefits society when many people contribute their viewpoints around things like introversion and other forms of identity; these are themes of life that should be celebrated and not owned by any one person or company. 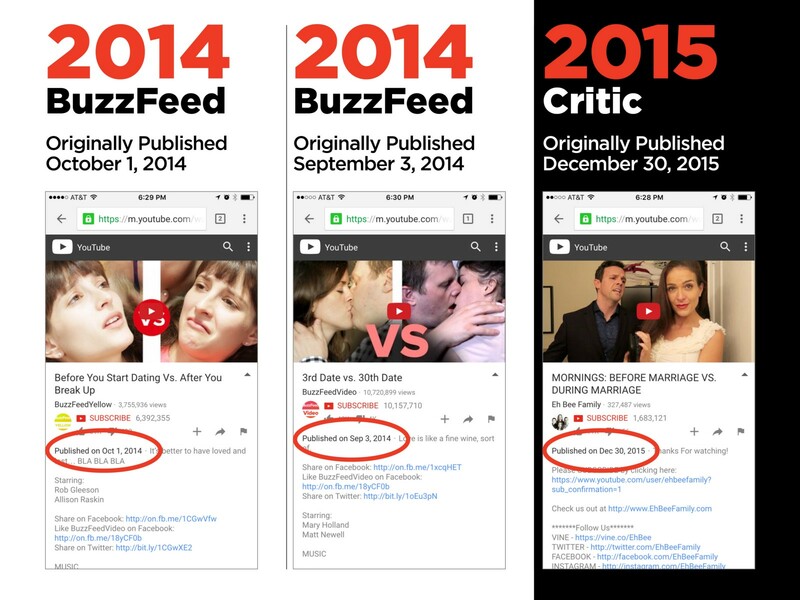 Like all creative people, the talented producers at BuzzFeed are influenced by others, but our analysis shows that they are doing original work, adding value, and improving and contributing to the culture of the web. Many of them were deeply hurt by your accusations: They developed original work and were accused of stealing, and we decided to share this analysis publicly so their peers in the industry would know the truth about their original contributions. We’re also launching a public crediting system this summer to highlight our collaborative process of making videos and the specific contributions of individual contributors. Finally, BuzzFeed is developing new programs that will allow independent producers to collaborate with our team and get the benefits of BuzzFeed’s resources and cross-platform, global audience. We think this program will help independent producers understand how we work, help clear up misinformation, and build trust through new opportunities for creative collaboration with our team. I can’t share more now, but we value the work of independent producers and have some exciting things in the works! Please let me know if you’d like to discuss this more in person. You can DM me on Twitter to connect.